The Ford Fiesta PowerShift Automatic was launched recently with much fanfare. It has a dual-clutch automatic transmission and yet comes at an affordable price. Earlier, dual-clutch systems, introduced by Porsche in the early 1980s, were the prerogative of luxury German brands, at least in India. A dual-clutch system essentially uses two separate clutches to engage odd and even numbered gears respectively. Ford's dual-clutch system is developed jointly with German firm Getrag and the Fiesta will be the first of several Ford vehicles in India to feature it. How is the new Fiesta to drive? Well, thanks to the dual-clutch system, there is no perceptible jerk as the car switches gears. Upshifts and downshifts are handled effortlessly. That said, like many other automatic transmission cars, the Fiesta also ends up at a loss about which gear to use when you get aggressive with the throttle. Some cars circumvent the problem with an 'H-gate' in their transmission, giving the driver the option of occasionally overriding the car's transmission logic. One wishes this Ford had that feature too. Certainly, in slow-moving city traffic, the automatic transmission is a boon. 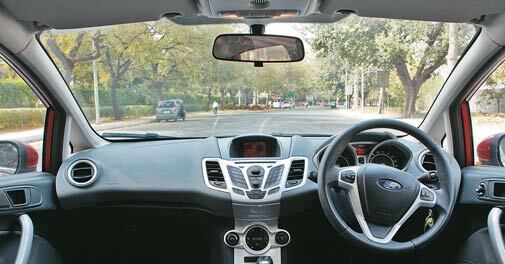 If handled with care, with only the occasional burst of throttle, the Fiesta will return, according to its computer, around 11 to 12 km per litre, at par with its manual transmission sibling. And while we never got a chance to engage the 'Hill Descent' mode during the test drive in the capital, that additional feature is also a great addition. Given the growing shift to diesel cars, we hope Ford comes up with a diesel automatic soon too. The Audi A7 may look sporty, but it is, in fact, a luxurious sedan. Its 2,967cc V6 turbo-diesel engine serves it well, as it does on pretty much every large vehicle in Audi's range. But thanks to the sporty shape, the 240 HP engine delivers speed much more effortlessly. And despite being as long as a yacht, the car grips the road tightly; the low driving position also makes driving a great experience. 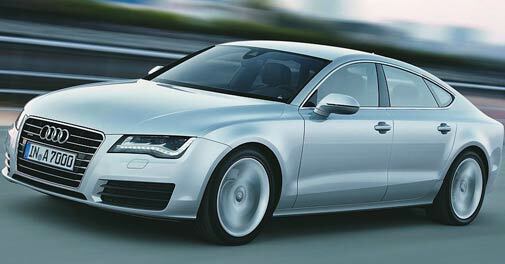 At Rs 66.40 lakh, the new offering from Audi is better value for money than many other models and as much fun to drive.